On Jan. 23, 2017, fifty-four students in grades 3-8 competed in the annual Grant County Spelling Bee held at McKenzie Hall on the campus of Sheridan High School. The student representing the county at the Arkansas Spelling Bee in Conway on March 4 is Grace Herndon (above left), a sixth grader at Sheridan's East End Intermediate campus. Her trophy, a laser-etched lucite panel, accompanied the $100 prize for finishing first. Serving as alternate to the state bee is sixth grader Caroline Mitchell (above right) of Sheridan Intermediate, who finished second and received a bobble-head bee trophy and $75. 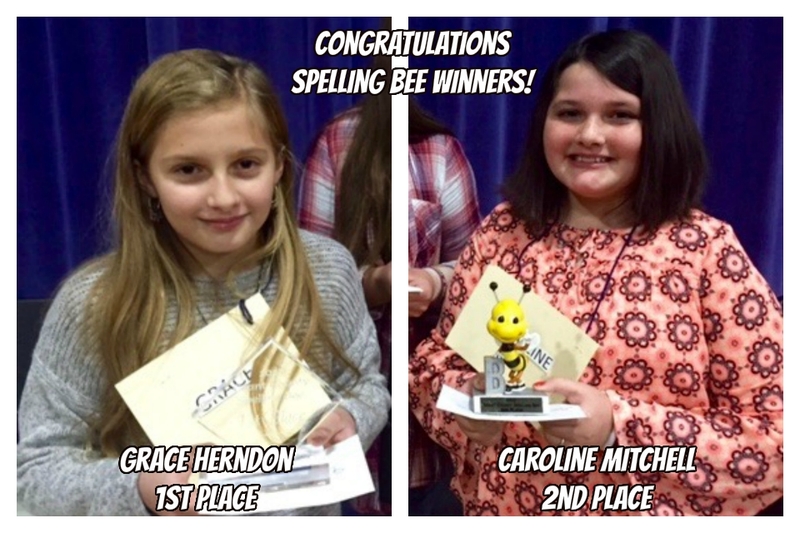 Congratulations to these spelling bee winners!